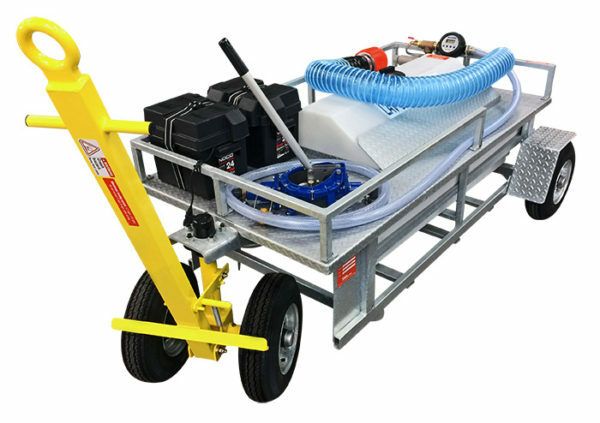 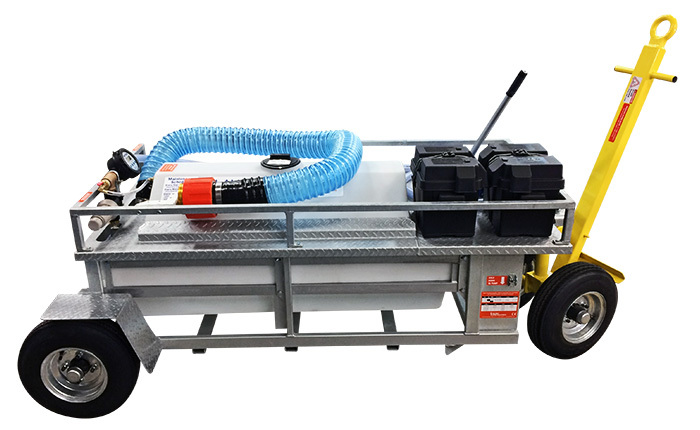 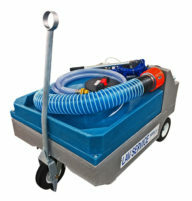 Our LC100 Aircraft Lavatory Service Carts feature rotationally molded polyethylene tanks mounted upon a galvanized chassis that incorporates heavy-duty running gear; allowing your crew to tow this cart long distances without worry. 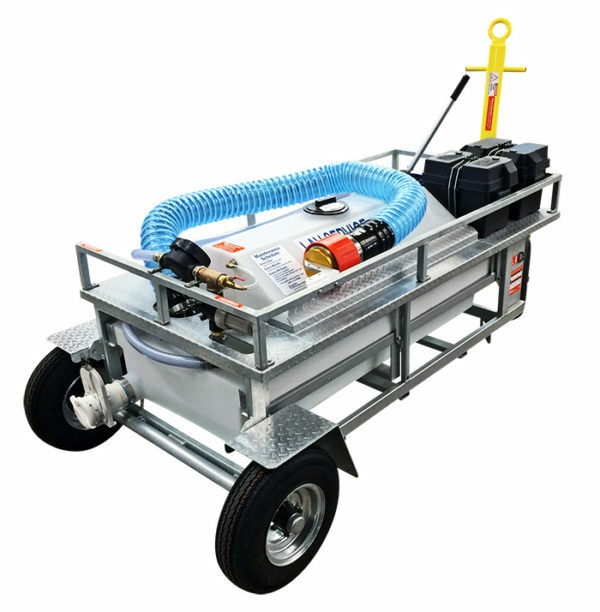 The LC100 series carts come in either a hand pump configuration (LC100), an electric pump configuration (LC100E) or a gas pumping configuration (LC100G). 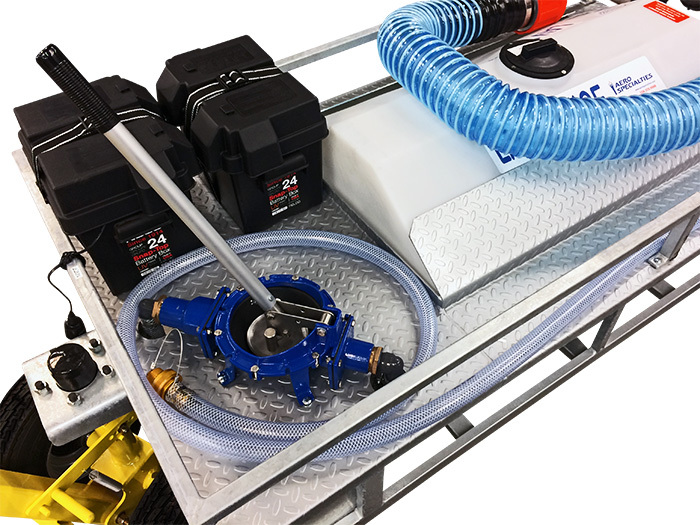 As with all AERO Specialties carts the LC100 series carts come standard with hoses, couplers and all equipment required for standard aircraft service. 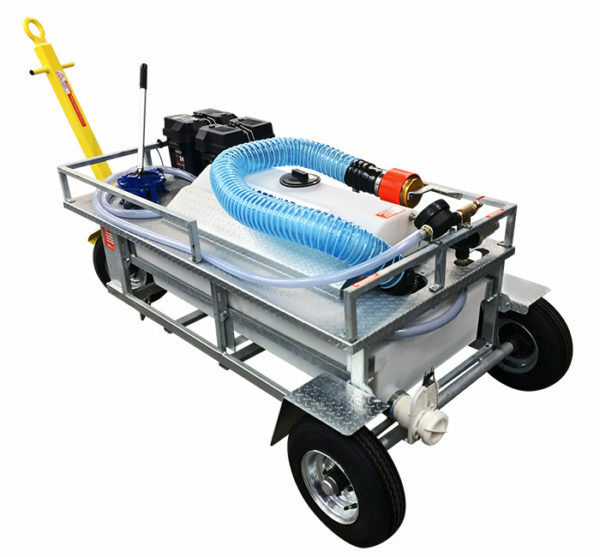 Compares to Tronair 99-gallon manual and pneumatic lavatory carts, part numbers 10-6402-0010 and 10-6410-0000. 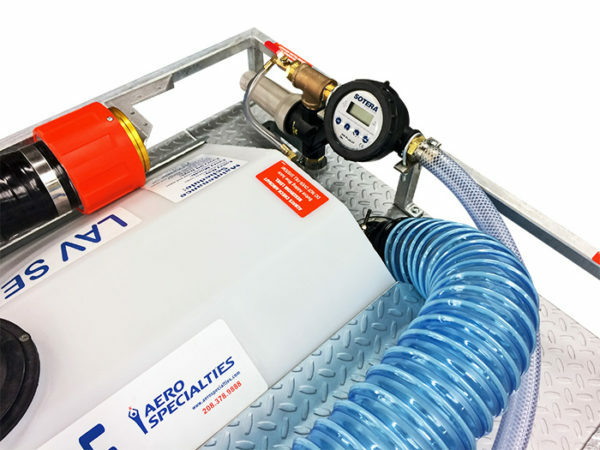 Note: This product was formerly AERO Product ID 001645G.